We all want to live a healthier lifestyle and that begins with what we put into our bodies. Only 3% of the world’s water resources are fresh water, making natural clean water a scarce resource. South Florida Water is there to help with your water treatment needs. 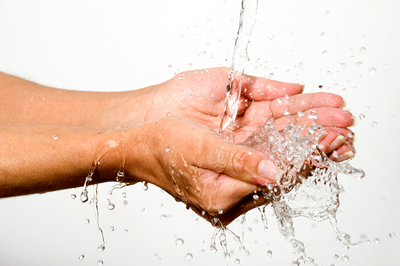 South Florida Water Treatment has an exact procedure in handling our customers needs. First, we thoroughly test your water and then give you recommendations based on our findings. If you have hard water, we will recommend water softening. If your water has harmful substances, we may recommend water purification or installing a reverse osmosis system. If you operate on well water, we have several options to choose from. By contacting the professionals at South Florida Water Treatment you are taking the first steps to a cleaner, safer and healthier lifestyle. You will taste and feel a noticeable difference in your water, as well as in your overall health! South Florida Water provides water softeners, water conditioner and water treatment to Orlando, Tampa, Sarasota and all the towns in between to include but not limited to: Wesley Chapel, Zephyrhills, Odessa, Land O Lakes, Lutz, Tarpon Springs, New Port Richey, Spring Hill, Brooksville, Wimauma, Ruskin, Riverview, Valrico, Lithia, Parrish, Apollo Beach, Brandon, Lakeland, Bradenton, Kissimmee, Clermont, The Villages, Sun City Center, Windermere, Sanford, St. Cloud, Longwood just to name a few.